The last time you were waiting for a bus, you may have been standing next to a beer ad. Perhaps when the bus pulled up, a bourbon ad was painted on the side. Or maybe at the train station this morning, you saw billboards promoting the specials at a big chain bottle shop. 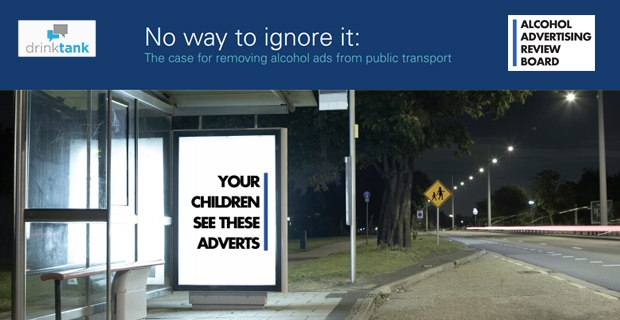 The latest report of the Alcohol Advertising Review Board, No way to ignore it: The case for removing alcohol ads from public transport, highlights the sheer volume of alcohol advertising that children and young people in Australia are exposed to on public transport and transit stops. While catching a bus or train, or simply walking or driving down a main street, Australian children see alcohol ads splashed across bus stops, train stations, buses and trams each day. A recent review of 584 bus stop ads in Perth by the McCusker Centre for Action on Alcohol and Youth found that one in seven ads were for alcohol products, including beer, whisky, gin, liqueur and vodka. Even locations where children gather are not free from alcohol promotion. We are aware of several instances where alcohol ads were placed on bus stops directly outside primary schools, further demonstrating that the alcohol and advertising industries cannot be relied on to effectively regulate their own advertising. Children and young people represent a substantial proportion of public transport users. Surveys show that many children use public transport to get to school and that young people are more likely than older people to use public transport. There is substantial community concern about the level of alcohol advertising young people are exposed to on public transport sites. Since its launch in March 2012, the Alcohol Advertising Review Board has received 130 complaints about alcohol ads on public transport and transit stops that would be expected to have high exposure to young people (18 per cent of all complaints). A survey of Western Australian adults found that 72 per cent support removing alcohol advertising from buses and bus stops to reduce young people’s exposure, with only ten per cent opposed. Urgent action is needed to reduce young people’s exposure to alcohol advertising, including on public transport and transit stops. The Australian Capital Territory are leading the way in Australia, as the first jurisdiction to restrict alcohol advertising on public buses. There is international precedent for this. Finland, the United States and others have taken action on alcohol advertising on public transport sites to better protect children and young people. In the report’s foreword, Dr David Jernigan from the Center for Alcohol Marketing and Youth at the Johns Hopkins Bloomberg School of Public Health in Baltimore, USA, discusses action in Boston, Massachusetts, where a coalition of young people and adults succeeded in convincing the city’s transit system to stop advertising alcohol, after it had been wrapping its buses in vodka ads. With 92 per cent of Australian adults concerned about alcohol use among young people, we need governments at all levels to step up and take action to prioritise the health and wellbeing of Australia’s children and young people. 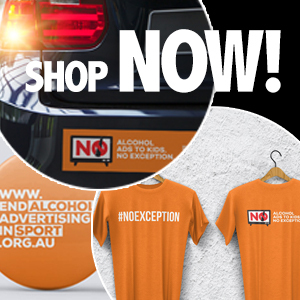 Changing the way alcohol advertising is regulated is largely under the control of the Australian Government. However, given the level of community concern about alcohol and young people, it is also necessary for state and territory and local governments to do what they can to reduce young people’s exposure to alcohol advertising. Removing alcohol advertising from public transport and transit stops is an important step that these governments can take without waiting for action at the national level. We have written to all state and territory Transport Ministers urging them to remove alcohol ads from public transport sites. You can help to encourage change. If you’d like public transport without alcohol ads, you could write to your state or territory and local government representatives, share our report and encourage them to act. When you see an alcohol ad that concerns you, contact the Alcohol Advertising Review Board. Making a complaint is quick and simple!